Raw food Rosie’s is the home of Rosie’s recipes, blog and shop; selling dairy free and vegan artisan tree-nut products. We sell our tree-nut cheese products from our online store and in shops and markets around the UK. We take only the finest raw, organic and natural ingredients and use natural methods to preserve and enhance their quality, to create healthy and delicious plant based alternatives to traditional dairy products, that are not only great for our bodies but are animal and environmentally friendly too. 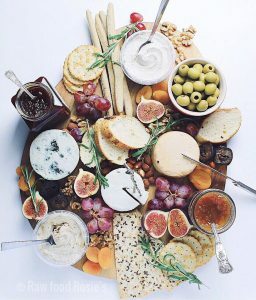 Our range of artisan Cashew Brie’s are made using activated cashew milk and harness traditional cheese making methods to create a delicious and healthy alternative to dairy brie.